Connor Garcia Whitehill made a bold prediction last spring, before the baseball season even started. 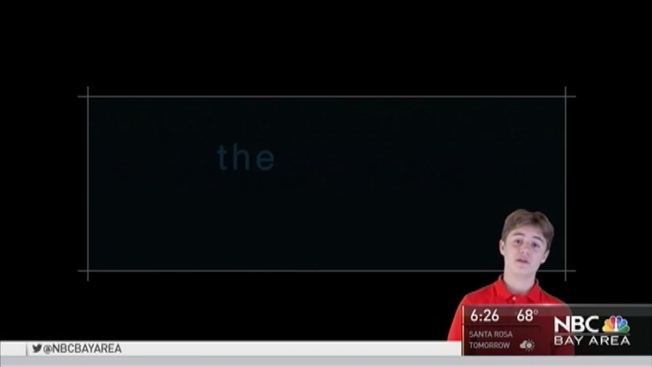 He didn’t just put it in writing – he put it on YouTube. The 14-year-old from Oakland, California, said the Chicago Cubs would make it to the World Series, and win for the first time in 108 years, against the Cleveland Indians. Why was he so confident in his prediction? Statistics. "The fun thing about statistics is that they help you to understand the world around you, be it baseball, politics or just numbers in general,” he said. Fun? Many people would say statistics are useful, but most wouldn’t say fun. But math is one of Connor’s favorite things. 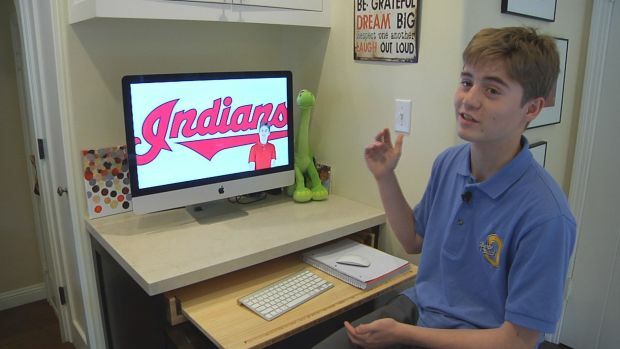 So he decided to combine it with two other passions – video and baseball – when he tackled his eighth grade project. With the help of a couple of dedicated math teachers at Berkeley’s Black Pine Circle School, he created a spreadsheet with formulas that analyzed MLB statistics and gave each team a number to predict its final ranking in each division. Of course, the Cubs came into the season strong. It doesn’t take a crystal ball or statistics to say they would have a good season. But Connor called the winners of four out of six divisions. "The more surprising thing to me was the Cleveland Indians, and that actually made me doubt my metric a little bit," he said. His analysis failed him in the West divisions. Maybe his love for the Giants led him astray. “I think they were unlucky. They should’ve won,” he said ruefully. His dad, Bob Whitehill, helped him edit the video and suggested he read “Moneyball,” the Michael Lewis book that documented how the 2002 Oakland Athletics rethought baseball’s conventions to field a winning team on a budget. His mom, Ingrid Aguirre Happoldt, forwarded the video Connor made to friends and family across the country. Then, when Connor’s predicted teams won the pennants, they started calling and texting. “They’re saying, ‘Didn't Connor predict the Cubs and the Indians? Did it really work out that way?' So it's been fun to see that the predictions he made have come to pass,” she said. She’s grateful that her son has the opportunity to plan and execute a long-term project over the course of several months. Her son is now taking geometry at Bishop O’Dowd High School. He calls his metric, “The Connor Curve.” There are only a few more games until his statistical analysis is tested by real life.